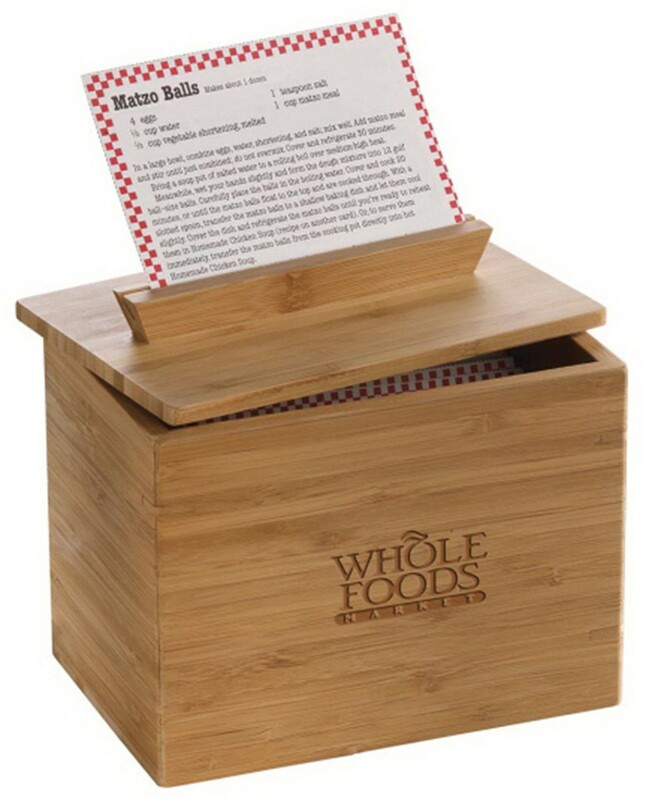 Our promotional zest 4x6 bamboo recipe box features eco-friendly construction and comes with an angled card stand on the lid. A beautiful and functional product for promotional giveaways, the zest 4x6 bamboo recipe box is sure to impress your potential customers. This simple yet elegant box made from eco-friendly anti-microbial bamboo allows storing index cards in perfect organization to get them handy whenever required. It has enough height to allow tabbed dividers for easy access. The box comes with a removable lid with an angled card stand that allows easy reading of the content of card. With ample space for customization, this recipe box lets you imprint your brand logo and custom message to leave a lasting impression on the recipients when used as corporate gifts.